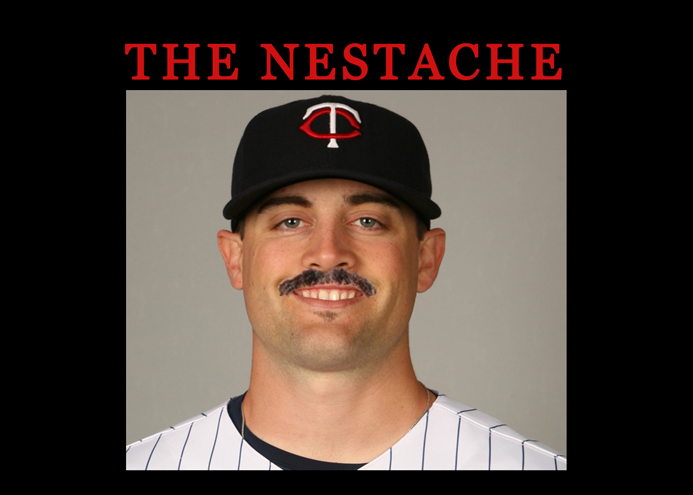 Motivational Twins Poster: Pat Nestache | That's Twins Baseball. A Minnesota Twins Blog. Using TTBB technology, we put the actual Pornvano on Neshek. the problem for Pat wearing a mustache when he pitches is, of course, that he’ll be licking it every time he throws a ball…. I just tried to throw a quick tongue on the image. Unfortunately he’s smiling so it looks like he bit it off. But is the NeshekStache also vegan?